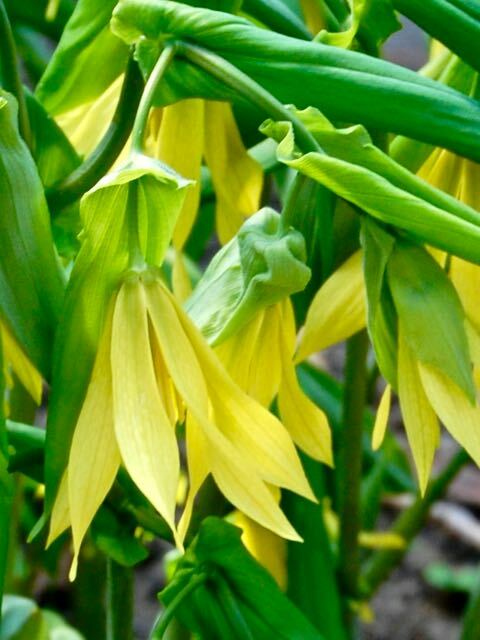 Trouble is, the more I looked, the more I saw it isn’t the plant I’d thought it was (Uvularia grandiflora or merrybells) – though at first it looked alike enough to be its twin. After much head-scratching and bombarding Google with search terms, I finally learned that our covergirl is Disporum uniflorum (syn. 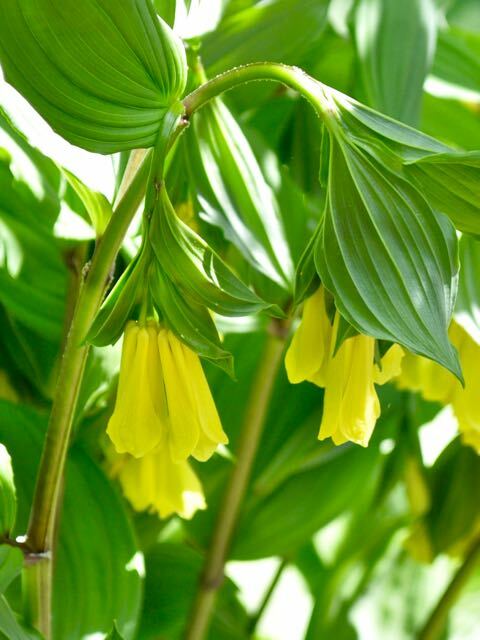 Disporum flavens) or fairy-bell. Native to Asia, not North America. Oh, well. The two are kissing cousins. That’s the trouble with plant ID. Compare the pictures below. Can you spot the differences? Don’t judge by flower size. The first one is a closer crop. It was the different shape of the petal tips that first clued me in. See how one is pointier? My search tried relationships to Solomon’s seal (Polygonatum) and even lilies (Lilium), both of which turned out to be close. 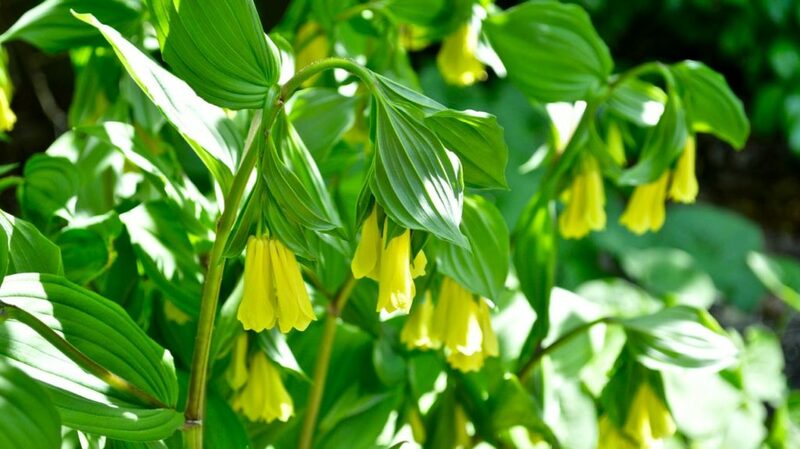 A few Disporum species are now shifted to the Uvularia camp. There is a native Disporum but it’s now called something else entirely (Prosartes). All are classed in the larger Liliaceae or lily family, with the cousins on this page actually closer to the dreaded lily of the valley (Convallaria) from yesterday’s post! I have a number of plants I thought for awhile were native as well. I am pretty sure I do have a few of the merrybells. I hope I remember your information when they bloom. There are many plant lookalikes. And there are even native and non-native species in the same genera that look almost identical. It’s easy to be confused. Both are very pretty, too, and the Asian one is entirely new to me! They are pretty, Nic. The pleated foliage on Disporum adds something extra. Thanks for dropping by! 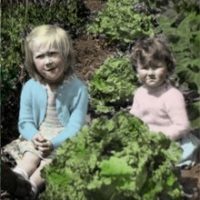 Interesting plant sleuthing, Helen. 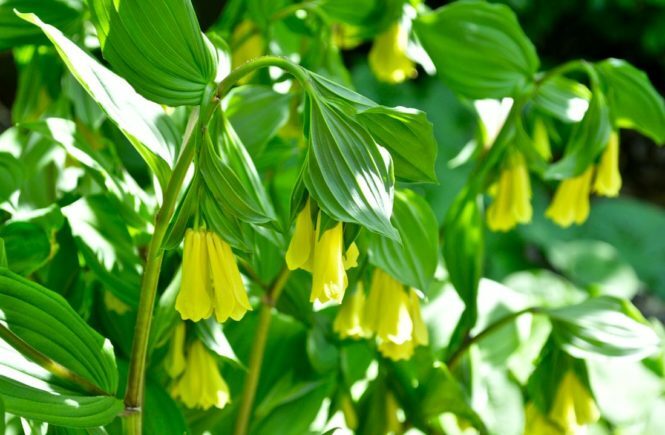 I grow merry bells but have always called it bellwort. Looks great with Virginia bluebells. You’re right, Patty, like many plants it has more than one common name, and large-flowered bellwort is another. Merrybells is the first name I knew it by – or maybe I just latched onto its cuteness. 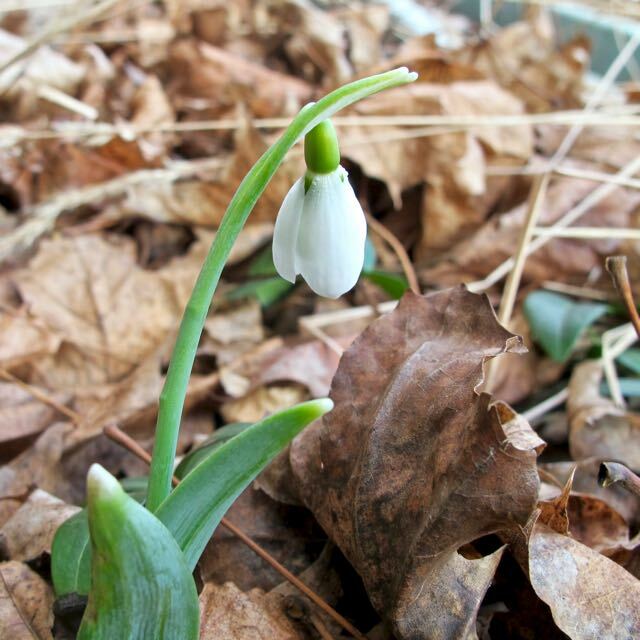 Snowdrop alert 2016. Wow, they’re early. Wow, when clematis met smoke tree!